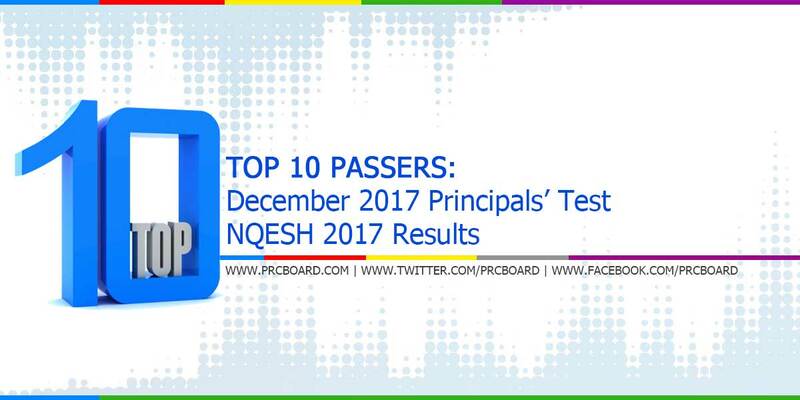 Manila, Philippines - The 2017 Principals' Test Results formerly known as National Qualifying Examination for School Heads (NQESH) held on December 17, 2017 by the National Educators Academy of the Philippines (NEAP) and Department of Education (DepEd) are released few months after the day examination. Aside from the official list of passers, top 10 examinees, and related announcements are also posted. 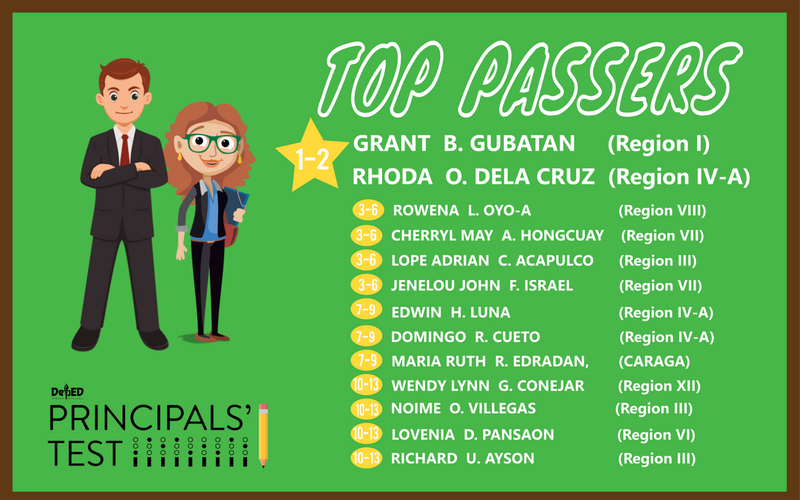 Below is the complete list of 2017 Principals' test top examinees, courtesy of NEAP. While most examinees are asking about the possible release date, as mentioned in the main page of this article, it is likely to be out 3-5 months after the examination. On the most recent Principals' Test conducted April 2017, Christian N. Sango from Region 11 ranked first followed by Benedick N. Damaso from Region 3 and Jerome O. Ramirez from Region 7. On October 2015, Erwin John F. Santos from Region 3 and Garry A. Vacunawa from Region 8 ranked first ganering 186 points or 93.00% rating. They were followed by Sharon B. Angupa from Cordillera Autonomous Region (CAR) having 185 points or 92.50%. PRCboard.com is among the trusted websites when it comes to providing timely and reliable information in any examination conducted by PRC and other government-related agencies. For fast updates, you may visit PRC official website or follow us at our social media pages via Facebook and Twitter.